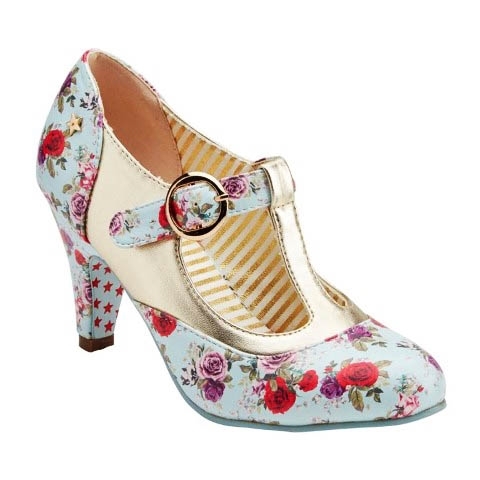 Joe Browns Couture- an exciting brand featuring vintage influences with a modern twist. Luxurious and unique- what's not to love!!! 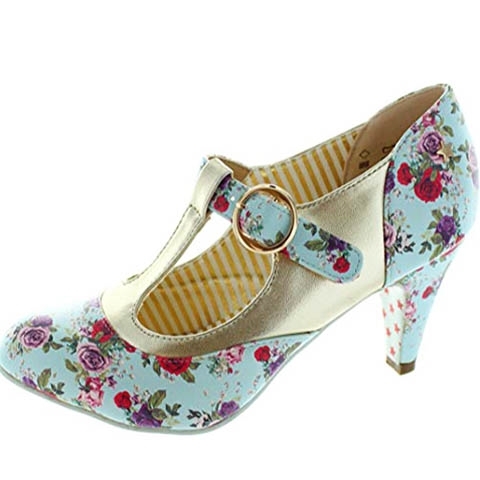 A blue, pink and purple vintage floral print T-bar shoe with gold strap and buckle- really intricate and detailed. Padded insoles and soles with grip make these totally wearable as well as beautiful. Pink and purple star print sole, feature printed insole and gold metal star to the heel gives the 'Joe Brown Couture' signature touch!